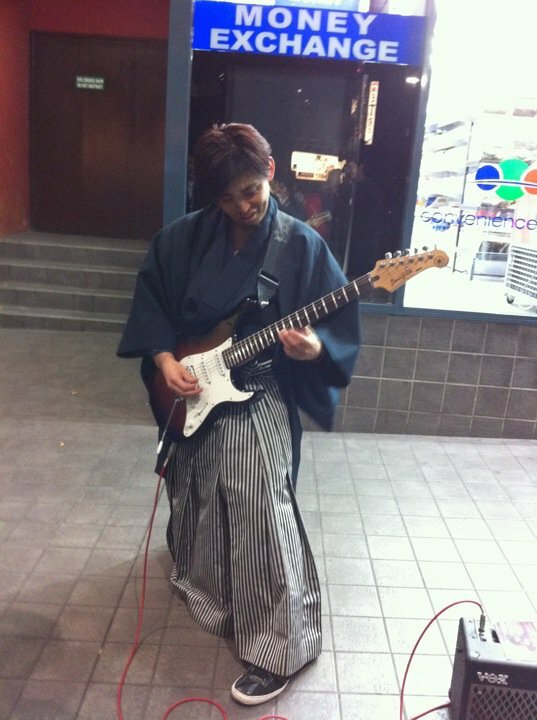 He’s actually Makoto the Guitar Samurai, and here he is in action on George Street in Sydney. No, I didn’t take the above photo – it’s from his Facebook profile. This entry was posted in Gratitude, Life is Good. Bookmark the permalink. I stumbled across your blog. Figured you’d enjoy this pic.